The Victorian Tea Room has changed names to The Grey House Cafe. 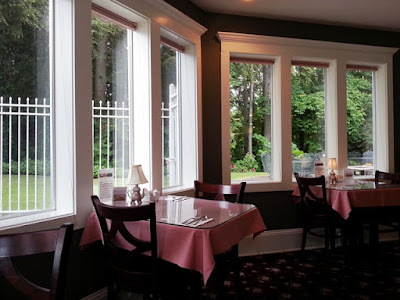 My friend and I were inspired to have afternoon tea when the Spring flowers were in bloom which led us to the Victorian Tea Room (formerly the Victorian Rose Tea Room), located on Bethel Avenue in scenic Port Orchard. 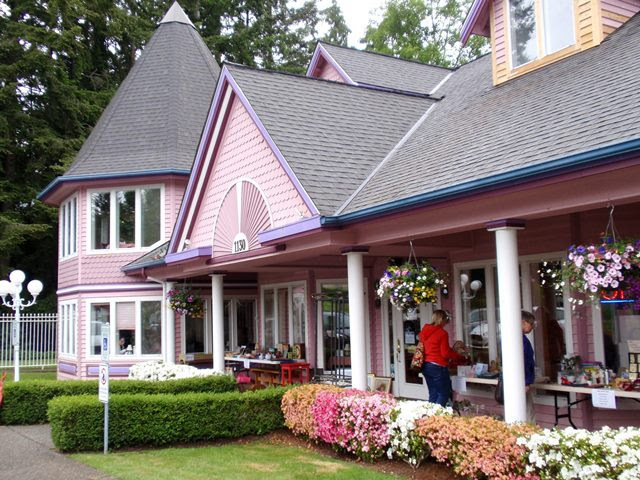 In 2004, it came under ownership of author and Port Orchard resident, Debbie Macomber, who has since featured the tea room in her popular Cedar Cove book series. 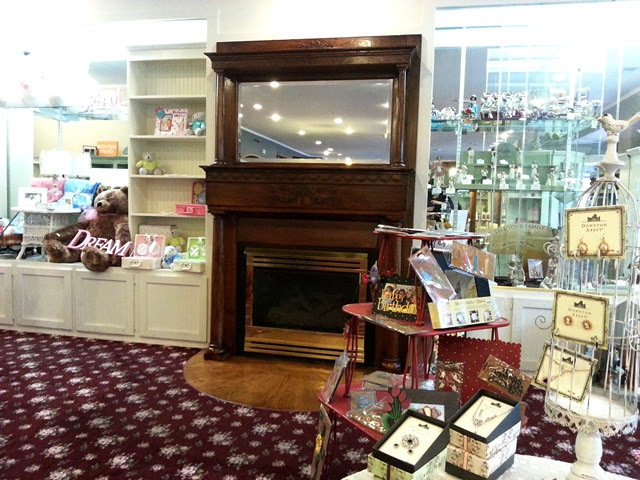 To the right of the entrance is a large gift shop with everything from earrings to children's tea sets available for purchase. At the time of our visit, the Victorian Tea Room had reduced inventory as they prepared to lay new carpet and I was told they expect to have a fully-stocked gift store again once the work is complete. Dining is to the left of the entrance, with plentiful seating and a view of the garden from almost any table. Additional seating is available outside for the warmer months ahead. 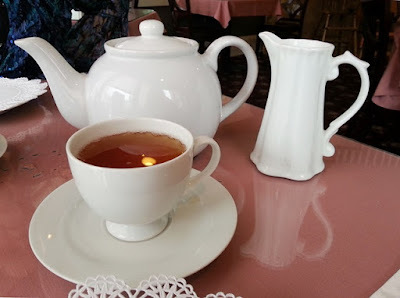 The selection of unflavored teas is limited, though we were very pleased with the British Breakfast. Three tiers of sandwiches, sweets, and savories provided a generous yet not over-filling meal. The freshly baked scones were served with delicious strawberry butter (I must try making this at home!). Sandwiches were cucumber, apple and Havarti cheese, curry chicken, and turkey with cranberry cream cheese in a wrap. Sweets included fresh fruit, petit fours, chocolate macaroons, and fruit turnovers. 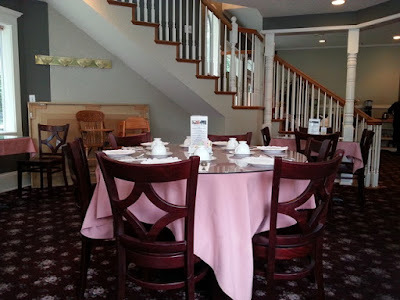 Reservations are required at least 24 hours in advance for afternoon tea. 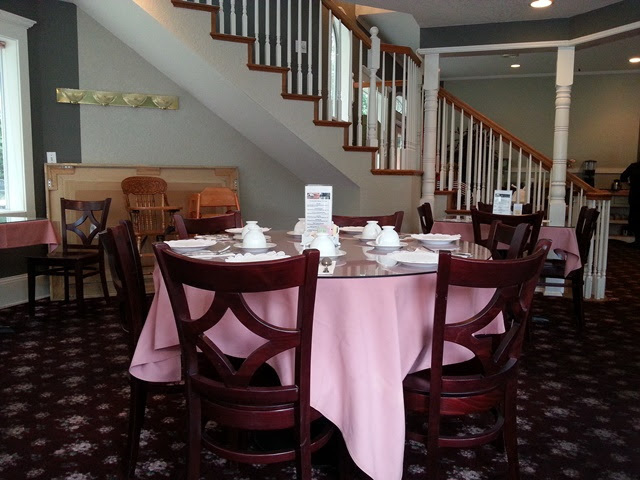 Breakfast and lunch are available at the Victorian Tea Room without reservations. 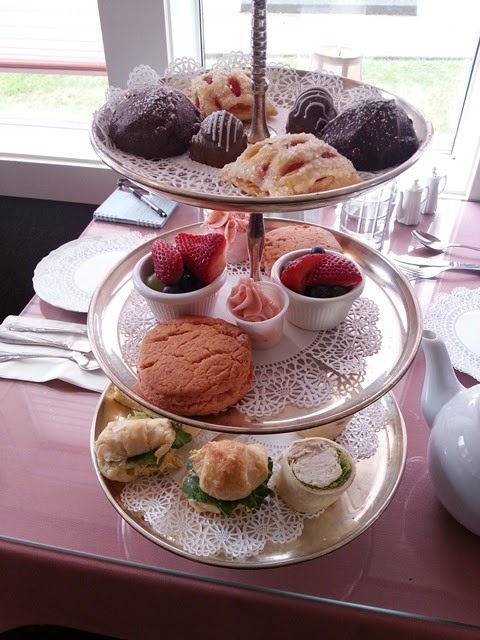 High Tea is served every day between 10:00am-2:00pm.